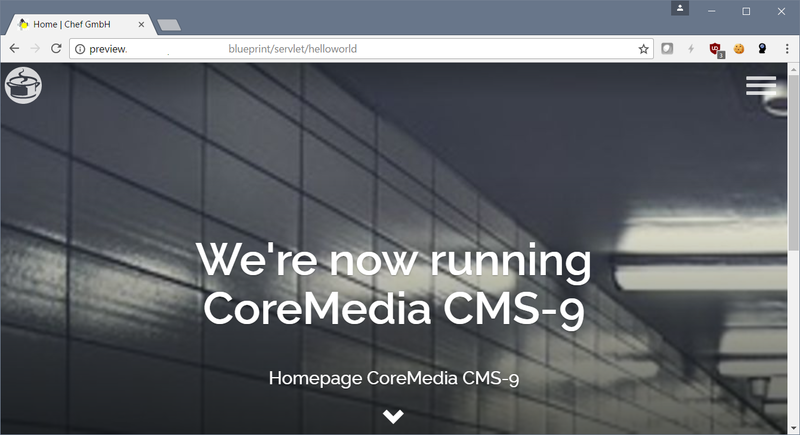 In any project based on the CoreMedia CMS where sites have to be created from scratch, at one point we ran into the need of the minimal content set for that site. That content area should be unrelated and unconnected to any other data and content in the system - so be really self-contained. It should make clear, which elements and settings are really needed from the wealth of options for that very project or site within the instance of the software. For really some time now, CoreMedia provides a load of demo-site contents for different scenarios of the usage of their products. It is quite easy to set up a system that really shows something. From my point of view, taking one of these demo sites and ripping out the unnecessary parts was not helpful, since you might end up - especially for new releases - with too much data that might be needed. At least a feeling of unknown dependencies sometimes remained. 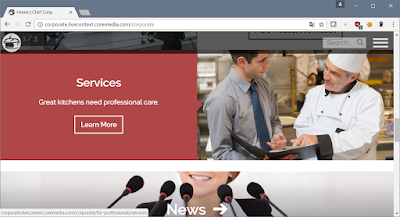 URL found through Google search for "coremedia chef corp"
A small content snippet with as few elements as ever possible still seemed to be missing. And this still holds true for the latest release CoreMedia CMS-9 (and LiveContext 3 as well) as shown from a small personal survey. 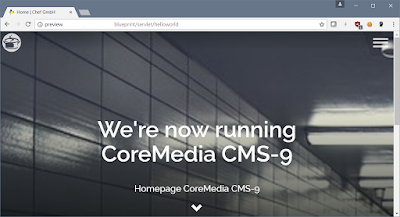 Again involved in a project based on CoreMedia products, I am now using the latest - and greatest - version of the CMS product - CoreMedia CMS 9, and asked some old friends to help me. After showing the system and demos one of the first questions: "Ok, nice, where is the minimal Hello World site?". From that feedback without any prior CoreMedia-related background, I assume that developers expect that part of a software - any software - to be there. It could be imported into the repository and instantly be used as a Hello World site, - and with its static content only as a Hello World site. and the like. So there still is some work to do. But this kind of work is even more schematic and boring than the setup of the minimally needed elements. This ended in a rewrite script and a content workspace which I now would like to make available to any interested developer in the CoreMedia-sphere. Find the resulting code at Bitbucket, GitLab, and Github.